Why not go on a discovery and explore a potato appropriately named to reflect the characteristics of this northern state. This large, high yielding variety has beautiful pinkish eyes and an evenly round shape. 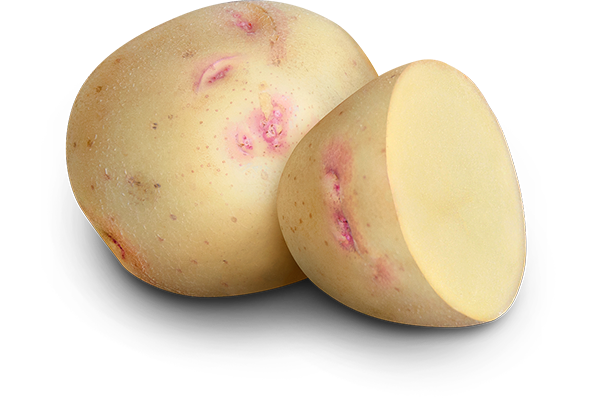 It has creamy flesh colour and a sweeter taste and is a good low starch option. Alaska Bloom grows very high yields in gardens but also in containers and pots. 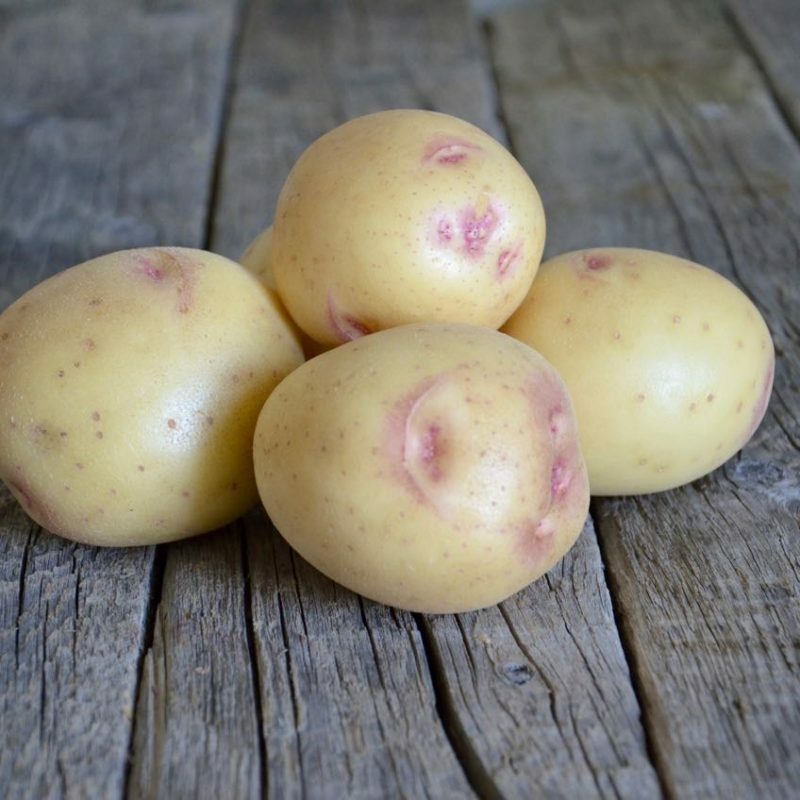 Alaska Bloom is a mid-season maturing variety producing evenly round potatoes. This creamy fleshed variety is high yielding and very productive in gardens and containers. 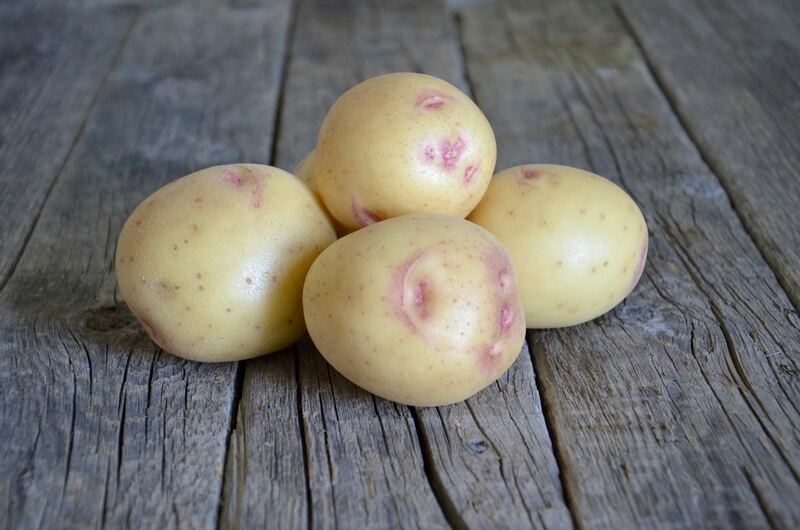 Plant this variety around mid-May for a nice crop of medium to large tubers ready about mid-late August. 90-105 days till maturity. Space 30 cm (12”) apart. Alaska Bloom has a moist, slightly waxy texture with a subtle sweeter taste. It works well for boiling, baking, scalloped or for home-made hash browns. This variety can be picked early in the season for fresh sweet baby potatoes. It has lower starch content than most varieties.